1) We will be closed this Sunday, February 14th for Open Gym! 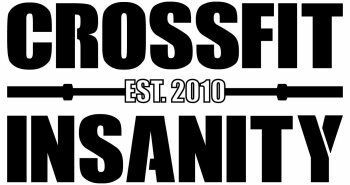 2) The 2016 CrossFit Open Registration is Live!! -Held in CrossFit affiliates and garage gyms, the Open is designed to be accessible to all athletes while rigorous enough to challenge the world's fittest. Fourteen-year-old high school freshmen compete in the Open, as well as their 77-year-old grandparents and everyone in between. -Sign up for $20, do the workouts, enter your scores, and you will be ranked in relation to your peers in your age division, competition region, state and country. -Workouts are released online each Thursday and athletes have until the following Monday to submit their scores. -It all starts February 25, 2016.